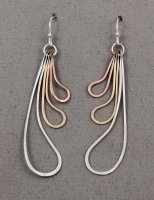 From Peter James - Fun tricolor dangle earrings presented in Sterling Silver and 14k yellow & rose Gold Filled. 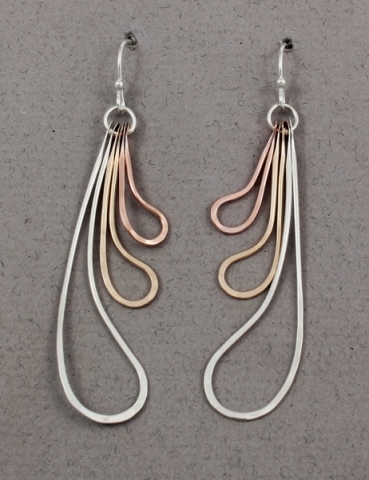 Lightweight and easy to wear, these shimmering earrings will compliment any style. Size is approximately 2 3/4" long x 1" wide. Peter James jewelry is handcrafted by the skilled artisans at Sausalito Precious Metals. Any item not in stock will typically ship in 4 to 6 weeks. If time is essential, please contact us and we will be happy to let you know what is available for immediate shipment.